The 1985 loveable bear is back with a modern makeover. Teddy Ruxpin, the lovable story-telling bear from the 1980s, is back! 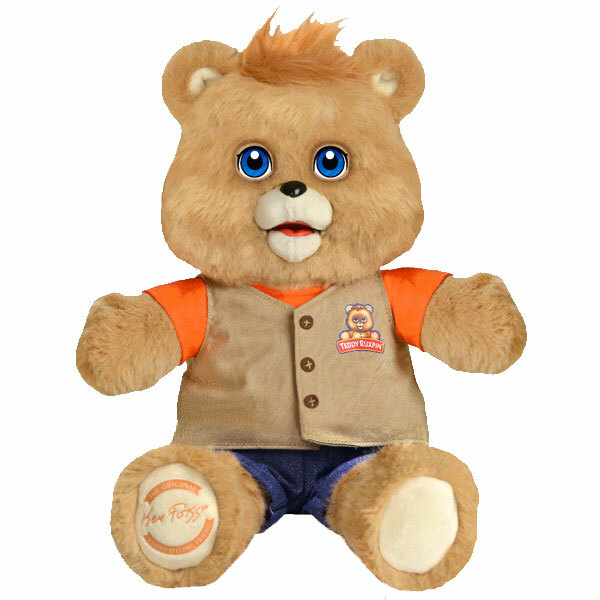 After a long hibernation, Wicked Cool Toys has given Teddy Ruxpin a digital makeover. At its heart, it is still the same lovely teddy bear but now it’s improved with animated LCD eyes and touch sensors in its paws. No longer is there a big cassette player inside Teddy Ruxpin – he now saves stories digitally. Kids can choose to read along with Teddy Ruxpin via an app, but the app is not required. 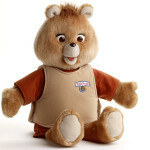 Teddy Ruxpin features the same memorable voice and stories that he had when he first launched in 1985. Teddy Ruxpin is slated for a Fall 2017 release date. 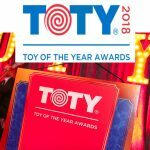 Parents who had their own Teddy Ruxpin will most certainly have a sense of nostalgia and love sharing this incredible experience with their kids. 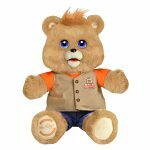 The new Teddy Ruxpin will retail for $100 and three stories are included with the talking teddy bear. 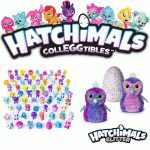 Additional stories retail for $4-5 and need to be purchased via the app. Ten stories will be available at launch with more planned for future release. Wicked Cool Toys also hinted at the possibility of additional outfits for Teddy Ruxpin. It’s wonderful to see Teddy Ruxpin make a comeback after 32 years and to be able to share this experience with your kids! He may have a digital makeover, but he is still the same Teddy Ruxpin we know and love and he’s sure to make kids’ wishlists this Christmas! 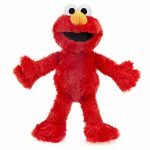 Bedtime just got a whole lot more fun with this interactive story-telling teddy bear.